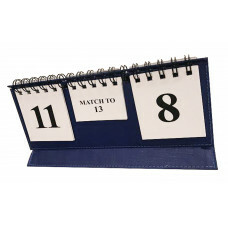 High quality scoreboard folding and spiral-bound made of heavyweight plastic coated with blue synthetic fabric. Storage bag included. Size of numbers 45 x 25 mm. 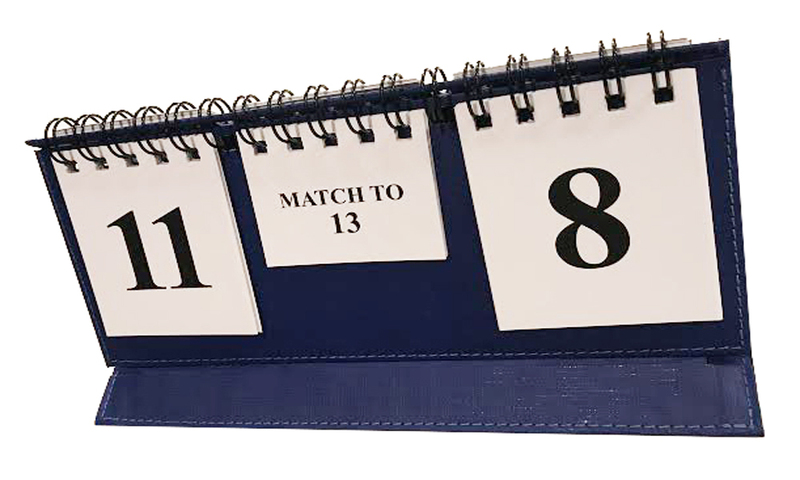 Size of the score board open 220 x 120 x 100 mm (closed 220 x 120 x 20 mm). Selection options: Match to, Crawford, Post Crawford.